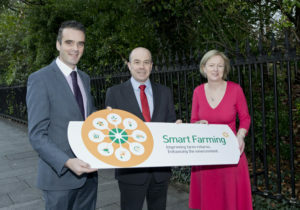 Smart Farming, the voluntary cost saving initiative led by IFA, in conjunction with the Environmental Protection Agency (EPA) will begin its 2018 work programme in April, identifying ways to improve farm returns and enhance the environment. In 2018, more than 1,200 farmers across 50 discussion groups, IFA branches and purchasing groups will get involved in Smart Farming. The objectives are clear: to find ways to reduce costs on each participating farm by at least €5,000 and how to reduce climate impact by 10%.